Outstanding service, top work, efficient booking! Any time you need a hand, just book with us online! If you’re in a real hurry — Book in right now, we’ll have your service on the road ASAP! Got a brand new car with a system problem? Seriously, it’s best to get that problem fixed before it starts costing you big money. We can do any system work you need, too! Had enough of hanging around waiting to get service? Our mobile mechanics will be onsite, getting your job done fast! 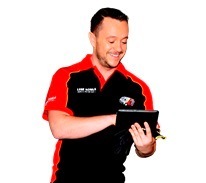 See what Australia’s best auto service can do for you! Let your money take it easy for a change! A good regular car service can save you a fortune simply by fixing things so they don’t turn into major costs! Best mechanics, absolutely dependable service, fast, efficient booking! Book whenever you want! Just pick a time that fits in with your times! In a hurry, want things done right now? Book in, we’ll have someone over there ASAP! Don’t wait for a car system to turn into a big cost! Car systems, particularly new car systems, can do real damage to your wallet. It’s best to get them fixed quickly. We can do any system work you need! Spent enough time waiting for someone to get around to fixing your car? You don’t have to put up with that! Our mobile mechanics will be onsite and have the job done same day or the next! Let us show you what real auto service is all about! Want to save a lot of money? It’s easy! Just get your regular service! We’ll find the problems and fix them so you don’t have to worry about big expensive jobs later! Give your money a rest and have the pleasure of driving without a care! Want great car service or car repairs in Wangara? No problem at all! You’ve got a Lube Mobile right here any time you need some help! When you want top quality car service or car repairs in Wangara Lube Mobile will do whatever you want and get it done fast! Comprehensive quotes in writing — No added costs. Pay the way you want to pay — Select from our payment choices. Ethical service — No work done unless you’ve approved it! Top service, excellent work, fast bookings! It’s easy to fit a car service into your schedule! Book a time that’s right for you and we’ll be there! If you need a hand right now, just book in and we’ll have a mechanic sent out to you ASAP! New car with a system problem? Don’t wait until it gets costly. These new systems can get expensive if they’re allowed to get worse. Let us take care of it! Just want service you can trust? 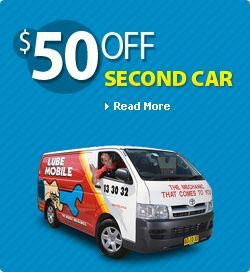 Our mobile mechanics really are the best in Australia. We’ll give you top auto industry standard service! Why risk expensive problems? Our car service will fix those preventable things that can become serious money jobs later! Avoid risks and get your car in top condition as well! You can get your car driving beautifully in no time! Expert service, reliable quality work, super-easy bookings! Want work done onsite at your home or where you work? No problem! Need something done right now? Book in now, we’ll get your service on its way ASAP! Car system playing up? Don’t wait to get that fixed! Those systems can turn into expensive jobs! We can have your system work done fast! Want top professional quality service and ethical code of conduct? That’s us! Our mobile mechanics are real experts in the field. We’ll be onsite fast, getting you back on the road in no time! Whatever the job, we can do it for you! When you get Lube Mobile, you get all the benefits of local service and all the resources of a national company!